Blog Longhorn Cowfish (Lactoria cornuta) Ultimate care guide! I have and eventually, I purchased one and he soon became my favorite fish in the tanks. But how hard are these fish to keep? In this article ‘ Longhorn Cowfish (Lactoria cornuta) Ultimate care guide! ‘ We’ll explain all you need to know for keeping one of these amazing fish in your home aquarium. The longhorn cowfish is a quirky looking saltwater species found in regions of the Indo-Pacific. They are most recognizable by their yellow coloring, box-like shape and protruding horns on both their head and tail end. In their natural habitat longhorn cowfish can grow up to twenty inches long whilst in captivity, they reach around sixteen. Price & Availability $20-$60 for a 2” fish. Easily available. A peaceful fish that is best kept with other non-aggressive species due to it being easily spooked, the longhorn cowfish hides a nasty secret. When feeling threatened or startled it will react by releasing a poison. The poison it releases is strong enough to not only kill the fish it is reacting to but also itself and every fish in the aquarium! For this very reason, longhorn cowfish are not recommended for the beginner or intermediate marine fish keeper. In fact, scientists do not think they should be kept in captivity at all. They are, however, growing in popularity as a home aquarium fish, making a comprehensive care guide essential. The main coloring of a longhorn cowfish is tan to yellow with blue and white polka dots. They may also have a dark brown to black circling around their mouth and eyes. Patches of brown are occasionally found on the body too. Longhorn cowfish are most known for their horns which protrude from both their head and tail end. These are more pronounced in juveniles and become shorter as they age. This is thought to be because mother nature gave the horns to make it more difficult for the longhorn cowfish to be eaten by predators. The chances of predation lessen as they age and grow making the horns less essential and hence smaller. Other oddities in the longhorn cowfish include eyes that resemble the milky way and kaleidoscopic skin. The eyes are due to these fish having a special pigment called corneal iridescence. This is a layer of tissues which blocks out the direct sunlight overhead allowing the fish to forage in shallow reefs. It makes the eyes have a sapphire blue twinkling quality that resembles pictures of the milky way! The kaleidoscopic skin description is related to the fact that Longhorn cowfish have plate-like scales that are integrated to form a grid that covers the box like a carapace. These can’t be seen by the naked eye but when light falls on this fish, it creates a kaleidoscopic effect. Longhorn cowfish do not have a pelvic skeleton and hence no pelvic fins. They also don’t have gill covers just slits or small holes. Their mouths are subterminal, meaning on the underside of the head, with prominent pouty lips. Whilst longhorn cowfish do not have pelvic fins they do have dorsal and caudal. The rounded small dorsal fin has nine soft rays and the tail/caudal fin between nine and ten. In an aquarium, these fish can grow up to sixteen inches with no differences between male and female. Where Do Longhorn Cowfish Come From? The natural habitat of the longhorn cowfish is the oceans and seas of the Indo-Pacific. They can be found off the coast of East and South Africa, Australia, Indonesia, South Korea, Ryukyu Islands, Tuamotus, Marquesas and Howe Island. Preferring less turbid waters Longhorn cowfish will usually be found hanging around rocky reefs, reef flats, protected seaward reefs and coral reefs. This can be at depths of anywhere up to around one hundred feet or thirty meters. Juveniles are most often found near Acropora coral on protected shallow mudflats and in brackish water. Longhorn cowfish are omnivores that eat both meat and vegetable-based foods. These include mollusks, small crustaceans, sponges, small fish, invertebrates, polychaete worms, algae and foraminiferans that is strains from sediments. Population numbers of longhorn cowfish in their natural habitat are unknown. The IUCN Red List for conservation lists them as not assessed. Due to their horns making them difficult to eat, however, they do not have many predators. Larger fish such as albacore and bigeye tuna are their main foes but humans may need adding to that list. The longhorn cowfish, according to scientists, is becoming more and more popular amongst marine fish keepers. Since they do not breed in captivity this increased demand equals increased capture, leaving less longhorn cowfish in their natural environment. Longhorn cowfish do not swim like most other fish. They have their own unique method called ostraciiform swimming. This involves using both their caudal and dorsal fin which makes them look like they are hovering resembling a spaceship. This method of swimming also makes them slow and due to this longhorn cowfish are easy to capture. When caught they will make a distinctive grunting sound. Adult males are solitary and territorial with other males but will often be found with a group of females. Juveniles are the exception to this and will often all be found hanging out together near Acropora coral. Breeding takes place in paired couples, is elaborate and takes place either just before or just after sunset. The eggs and larvae are pelagic. They are not known to breed in captivity. Personality wise the longhorn cowfish is a peaceful fish that loves stimulation. Anything new in their tanks will be immediately investigated and they may spend hours doing so! They are also friendly and will learn to recognize their owner, begging for food by staring at them. Despite being peaceful, or because it is peaceful, the longhorn cowfish does not like to feel threatened and is easily startled. Sudden movement, bright light, loud sounds and more aggressive fish are all things that can frighten them. When frightened or threatened the longhorn cowfish becomes skittish and may injure or kill themselves and others! A skittish longhorn cowfish may hurt itself on rocks, corals and the glass of its aquarium. They have even been known to break their horns in a panic at being startled. These will grow back within a matter of months and are not the largest concern. 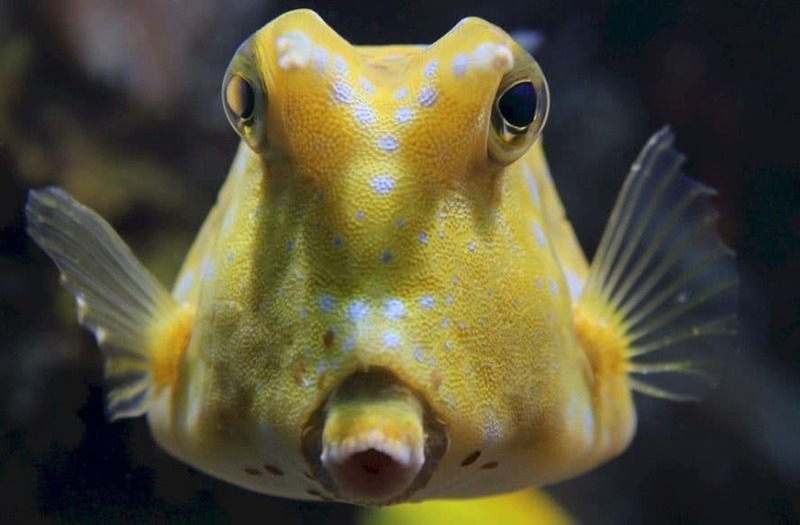 Longhorn cowfish can also release a toxin that will not only kill itself but every other fish in the aquarium too! Under the skin of the longhorn cowfish are cells which are known as club cells. These contain a neurotoxin known as ostracitoxin which they secrete when threatened, afraid, sick or dead. Similar to red tide and sea cucumber toxins in their general properties, the poison of the longhorn cowfish is lethal. In their natural habitat, this toxin is a fantastic predator deterrent which in general the longhorn cowfish can swim away from. In the aquarium environment, however, it will more than likely kill them and their tank mates. Not only will longhorn cowfish release this toxin when they feel threatened or scared. They will also release it when sick or dead. This makes it extremely important that sick fish are quarantined. Death, you cannot do anything about, it is inevitable and cannot usually be predicted. Though longhorn cowfish are long-lived when cared for properly, any owner should be aware that the death of this species could result in the death of the entire aquariums fish. What size aquarium do Cowfish need? A longhorn cowfish requires a minimum tank size of 250 gallons that has live rock they cannot become stuck in for algae scraping. Caution is advised with reef tanks as they may eat other fish and nibble tubeworm in there. Lighting should be low as a bright light can startle them and result in injury from trying to quickly hide. Water parameters should be dKH 8 – 12, pH 8.1 – 8.4, sg 1.020 – 1.025 and with a temperature of 72 – 78℉ (22 – 25.5℃). Longhorn cowfish need excellent water quality upkeep to prevent them from succumbing to illnesses they may be susceptible to. The water quality in your saltwater should be checked weekly. We use this the RED SEA TEST KIT available from Amazon. We find it has all the test condition we need look for to ensure safe and good quality water is used in our aquarium. Preferably a longhorn cowfish should be the first inhabitant in your aquarium to allow them to become established and the only one of its species. Longhorn cowfish are not very tolerant of others of their kind. When acclimating them never introduce the water from their bag into your aquarium. This water may contain their poison if they have found their journey to the home stressful. The longhorn cowfish should also be kept in isolation should you have to remove them from the aquarium for any reason such as maintenance or illness. Common illnesses for this species of marine fish are cryptocaryon and lymphocystis. Cryptocaryon, better known as saltwater ich or white spot disease is a parasitic condition. The symptoms are the appearance of white spots up to Two millimeters in diameter. Usually, these spots will appear first on the pectoral fins and spread over the body later. Treatment for this condition is a copper based medication. Would you like to know some amazing facts about the Longhorn Cowfish? Then click the link to read our article called:7 Little Known Facts About The Longhorn Cowfish. Lymphocystis is a viral disease that shows as small white prick growths on the skin, mouth, gills, and fins of the longhorn cowfish. At this stage, it is often misdiagnosed as ich. Later the small growths will develop into large cauliflower-like lumps which can take months to disappear. The cure for lymphocystis is a bacterial treatment and a stress-free life! To provide a stress-free life the correct tank mates should be selected for a longhorn cowfish. Seahorses, pipefish, sharks rays and cleaner wrasses are a definite no. Caution should be taken with species like triggerfish, puffers, hawkfish, groupers, other boxfish and invertebrates. Longhorn cowfish are known to eat invertebrates by blowing jets of water into the sand which exposes them and makes them food. When it comes to food longhorn cowfish are omnivores and should be fed twice a day. They are slow eaters and will not be able to compete with more aggressive feeders, so should not be housed with them. Never feed longhorn cowfish near the surface or floating foods as this may cause them to ingest air and have buoyancy problems. What do Longhorn Cowfish eat? Being omnivores longhorn cowfish will eat a variety of meat and vegetable-based foods. In their natural habitat, this would consist of polychaete worms, mollusks, small crustaceans, small fish, benthic algae and various microorganisms. In the aquarium, a diet of chopped meaty foods and marine algae is recommended. Frozen foods are suitable for longhorn cowfish. 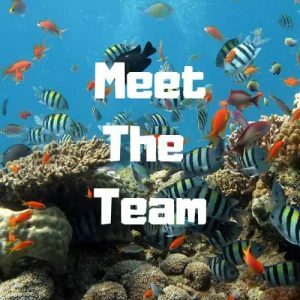 We use Green Seaweed stripes secured to the tank using a saltwater seaweed clip which we purchased from Amazon here’s the link. The clip holds the seaweed in place so your little Longhorn Cowfish can eat it without chasing it around the tank in the water flow. Please make sure you buy a marine seaweed clip and don’t use any ordinary clip as they have metal springs inside that will affect the water quality and could poison your tank. Can you tell the difference between male and female cowfish? There is no sexual dimorphism in longhorn cowfish, both males and females look the same and are of an equal size. They are known to participate in an elaborate paired courtship which takes place either just before or just after sunset. The eggs and larvae they produce are pelagic, meaning part of the open sea/ocean that is not near the seafloor or coast. Longhorn cowfish are not known to breed in captivity. What are suitable tank mates for Cowfish? Placing the longhorn cowfish with the correct tank mates is highly important in order to prevent them from feeling threatened and releasing their toxin. Species such as dwarf/large angels, batfish, blennies, basslets, clown fish, dartfish, hogfish, and tangs are all good choices. Caution should be applied when considering species such as other boxfish, puffers, triggerfish, hawkfish, and invertebrates. Longhorn cowfish eat invertebrates so they may be best avoided altogether. Species which are completely incompatible include sharks, rays, seahorses and the cleaner wrasse. These will pester a longhorn cowfish to death chasing them around in order to clean them. There should be no aggressive fish at all kept with a longhorn cowfish. Conclusion: Longhorn Cowfish-breeding-Facts-Size-Care-diet. All you needed to know! Should you buy a Longhorn Cowfish for your aquarium? If you have the correct environment and tank mates then YES. Absolutely. Can they live a long and happy life in a home aquarium? Yes, absolutely and to learn more about their life expectancy and how to improve it then read our post here. These cute and funny little fish are a great addition to any home aquarium. As discussed their feeding requirements are tricky and they need to have a calm and peaceful tank. Other than that they are lovely saltwater fish to keep at home. When purchasing one of these fish make sure to ask plenty of questions about which foods they have been giving it and how long has it been in the tank. Look for signs of the fish eating well and look at the skin closely for signs of illness and disease. 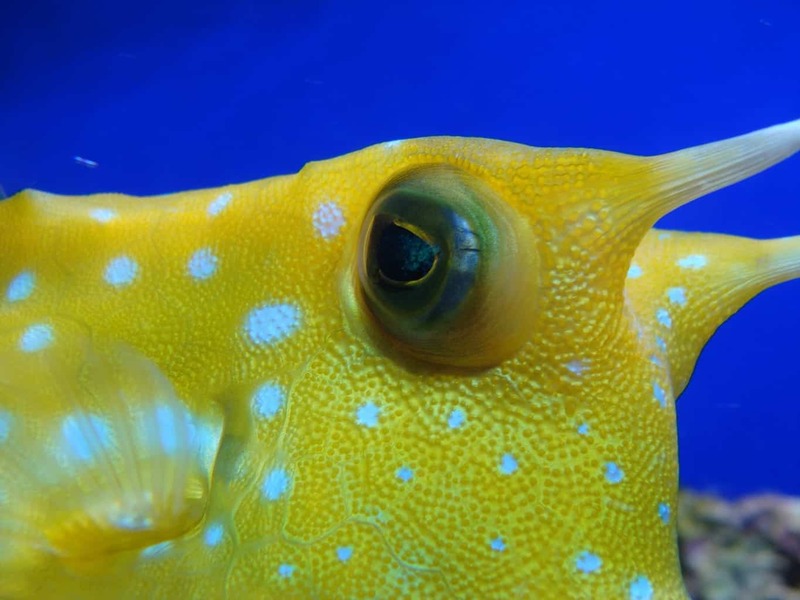 Follow the normal quarantine procedures that you should be doing with all your saltwater fish and introduce your new Longhorn cowfish once you’re sure the fish is disease free. Then sit back and watch this amazing fish enjoy his new home!